Famous ones are not the good ones, the good ones are those unknown and will probably never be known. but the original trace, which is usually mastered in volumes, is almost non-existent. This work has been Included in many exhibitions, publications, etc by: Marc Restellini - Christian Parisot - Lanthemann - etc. etc. and exhibits since 1952 - it was even once included in the French stamps. 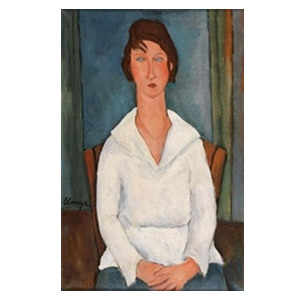 The painting was part of the legacy by Dr. Maurice Gerardin who was a dentist in the 20´s and collectionist that became art dealer with gallery etc. etc. And why they didn't included the work in the fake ones during the study? 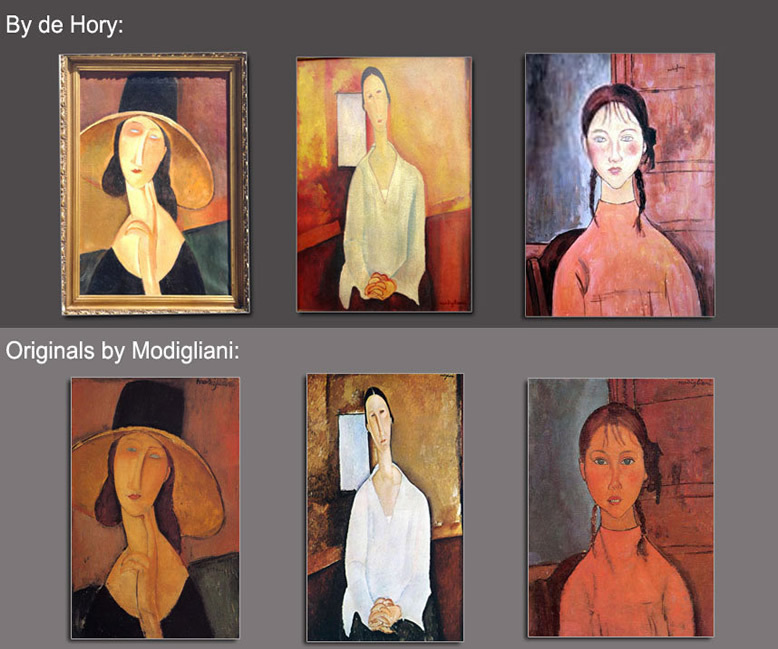 The answer is quite simple, that study left the museum with no Modiglianis (they had 3, 2 are now declared fakes so they had to save one). Political question to save one that even was used in the stamps??? Anyway, I am not the person to state what is a fake and what is not so I will just refer to the press and external links. The final opinion is up to you, reader. The main issue it that you don't have to be very clever to recognize that the "famous ones" were so silly that it is really easy to catch them, just take a look with examples and discover it for yourself. Even a monkey with a minimum training would recognize them. The most popular and as can be easily seen, not a very good one. Revealed as a forger in 1968. Orson Welles included him in F of Fake and gave him the credit to become a popular freak character. Made an estimated 1000 fake paintings, primarily in the style of the post-impressionists. He was close to many art historians, preeminent dealers and museum directors (so he was an insider in the art world, paying for certificates and COA´s and all that crap). He had a drama queen life, with lovers coming and going, full of lies, mobsters, and ended up committing suicide to avoid extradition (?). His paintings were sold in North America, Europe, and Japan, and the total market value is estimated to be over one-hundred million dollars of his time. As can be seen at first view he does not have the quality to even be compared.. Much more quality in drawings than in painting, he never reached the quality of the Livournese. this can be clearly seen with a simple view of his fake-copies and the originals. 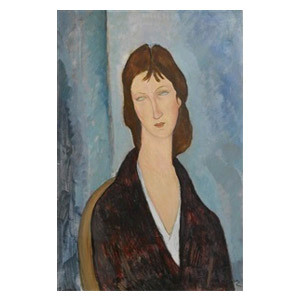 His main victims were Matisse and Picasso and specially Duffy, Modigliani was collateral but just a simple look reveals they are not good to really deceive, the lack of soul and the over construction is clear. 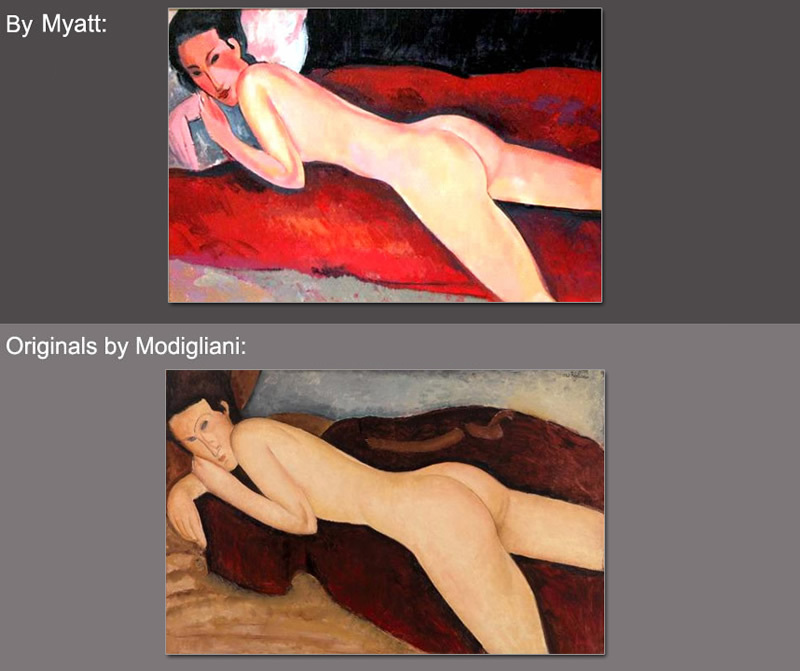 he never understood the dynamics in Modigliani backgrounds. 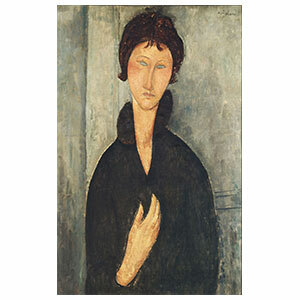 Some of his works have a certain quality, of course not like Modigliani. 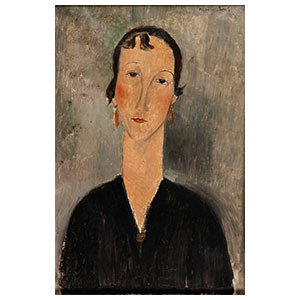 but can perform a little "tour de force" for eyes with a total lack of knowledge about Modigliani. A simple X ray reveals the truth, he did not know that Forensic methods would some day exist. He used Industrial pigments and supports. All his paintings have titanium white. 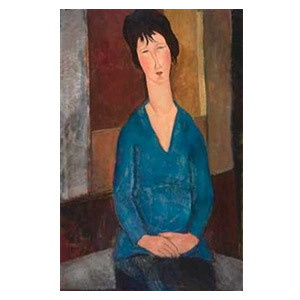 An ex part-time art teacher and songwriter from Staffordshire, produced more than 200 paintings over 10 years, which were sold around the world for a total of about £2m. With an aversion to the smell of expensive oils, which also took a long time to dry, he used house paint mixed with turpentine (that's what he said), linseed oil and lubricant jelly (Vaseline, yes the industrial one). His favorite targets were the modernists, the cubists Gleizes and Braque, Ben Nicholson, Nicolas de Stael, Giacometti and a dozen others. 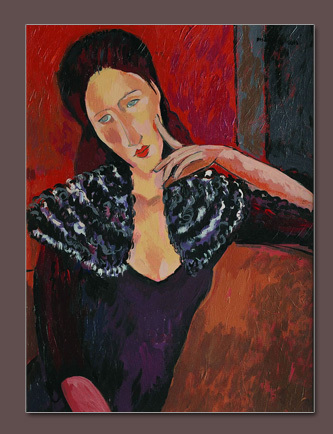 I don't doubt his forgeries in other artist could be good but in the case of Modigliani he is not even close. A simple look at his poor quality. 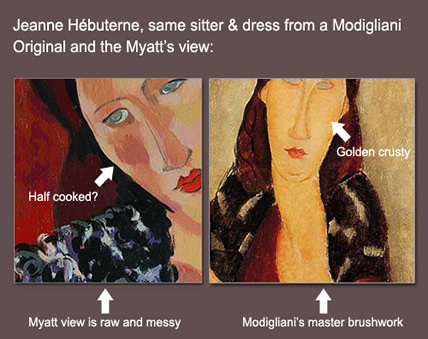 All his paintings in Modigliani don't deserve even the investment of an analysis. 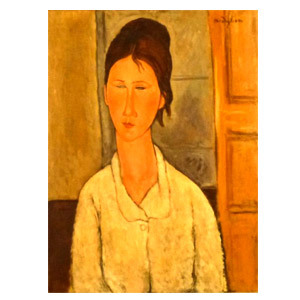 In 1967, Stein, a former art dealer, was convicted in his country on his plea of guilty, of six counts of counterfeiting art work and grand larceny. He had mastered the styles of such great artists as Chagall, Picasso, Matisse, Braque, Klee, Miro, Cocteau and Rouault to such an extent that he was able to and did sell as the original works of such artists, watercolors, gouaches and other paintings which he had created. After serving his jail sentence, Stein was deported to France where he was arrested and subsequently convicted for selling art forgeries. Stein, in jail in Paris was permitted by the French authorities to produce paintings “in the style of” such renowned artists as Chagall, Matisse, Picasso, Braque and others, only if they bore his own signature: “Stein, D.” rather than the signatures of these masters as had been his prior practice. 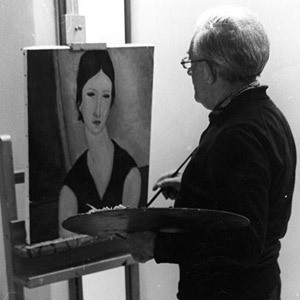 In April, 1969, Gallery's affiliate in London exhibited and sold a number of such paintings made by Stein during his confinement. 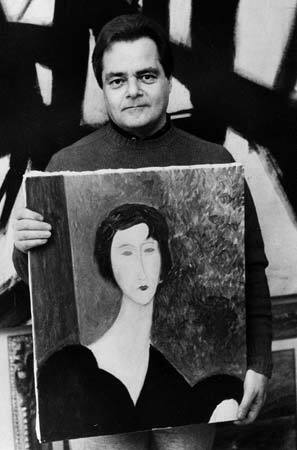 Collaborated in the movie "The Moderns" and all the paintings were by his hand. A simple look at his poor poor quality. Forensic methods will make any possible alarm sound, he used industrial /commercial trade paint. The main question is that we don't have to be afraid of the famous ones, they are quite easy to discover (by the way some of the living ones have contacted me asking for my opinion on some of their crap.). 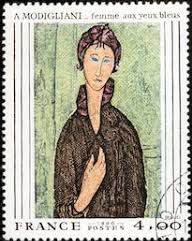 The good forgers must be part of the art market and work for the best dealers (with, or using them depends...), those are the really complicated ones, but today and with the state of the question about Modigliani, they go for another easier challenge like a Picasso or an abstract expressionist painter whose pigments are industrial and therefore much easier to fake.